This just in: The new Huawei P30 and P30 Pro will be formally launched in the Philippines April 13th. 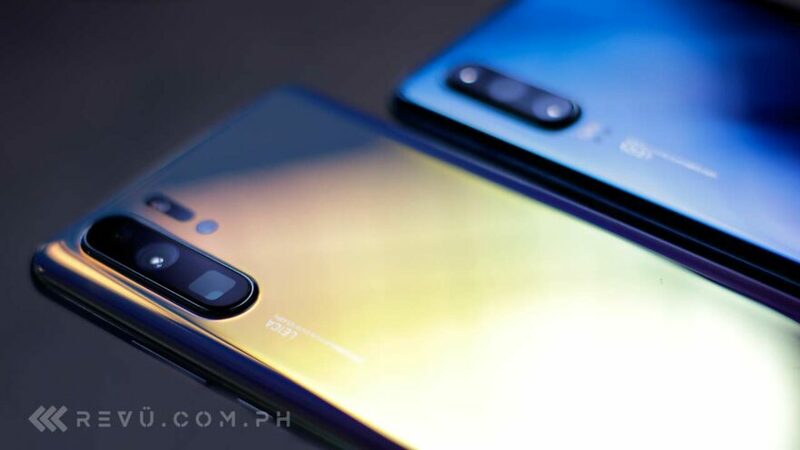 The event is scheduled to take place a day after the preorder period for the high-end P30 phones ends on April 12. The presale for the P30 series starts April 5, while the first day of selling could also happen on April 13. Those who pre-book a P30 or P30 Pro will receive a Huawei Watch GT smartwatch valued at P12,990 (around $249), plus other freebies depending on the unit and where you make your purchase. 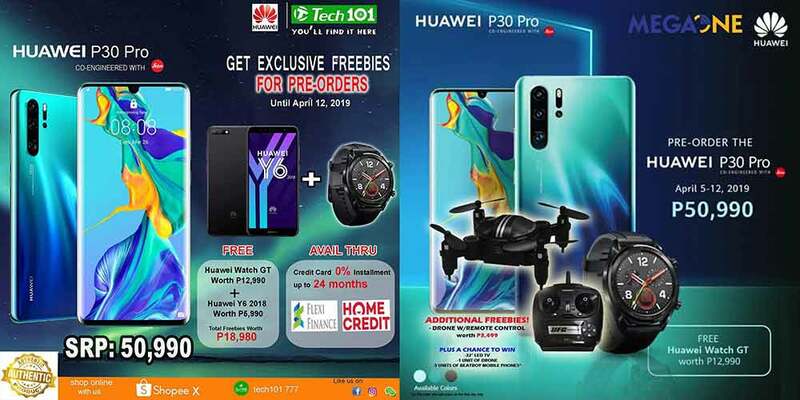 For instance, one local retailer will be pairing the Huawei P30 Pro with a Y6 2018, on top of the usual bundle, to sweeten the pot; another is offering a remote-controlled drone worth P3,499 ($67). The full list of participating stores can be found here. Huawei is also throwing in a booklet of voucher codes, with P100 ($2) discounts being offered by different partner retailers and service providers. There’s a full list of vouchers on the company’s official Facebook page. In the Philippines, pricing for the P30 is set at P36,990 ($709), whereas the Huawei P30 Pro costs P50,990 ($978). Both phones come with 8GB RAM and 128GB (regular) or 256GB (Pro) of native storage, in Aurora, Black, and Breathing Crystal color variants. Both the P30 and P30 Pro bring new camera experiences to Huawei’s signature flagship lineup, with the latter impressing us with its 10x hybrid- and 50x digital-zoom capabilities and ultra-wide-angle camera that packs optical image stabilization for brighter pictures especially in low light. Meanwhile, the P30 features the same 40-megapixel main camera with a newly developed image sensor as the Pro model and captures excellent stills in both daylight and nighttime. The Huawei P30 and P30 Pro have all the hallmarks of a modern top-shelf phone, including metal-and-glass casings with water resistance, a 7-nanometer Kirin 980 processor with advanced AI features, bright and vibrant OLED displays with an under-display fingerprint scanner, and sizable batteries that support fast charging. Additionally, the phones run EMUI 9.1 on top of Android 9.0 Pie, the latest Android build. You have a chance to get your hands on the two — and win freebies at the same time! — by attending any of Huawei Philippines’ various roadshows nationwide.